Konami pls learn how to design protag ace monsters next time. Also, the list is just too small. Nothing really interesting besides the Firewall ban. I for one am very happy for the Malicious hit. Depending on how much or little this set helps secondary prices, there's a lot of great Legacy Land toys in here that I'd love to snag. Creature spells you cast cost 3 less to cast. If another nontoken creature would enter the battlefield under your control, instead it enters the battlefield under target opponent’s control and gains “At the beginning of your upkeep, you lose 1 life if you don’t own this creature”. Whenever a creature you own deals damage to you, gain control of it. Huh. Well. I was actually thinking about writing a superhero novel so this could be considered research of a sort. I'll pick up a copy but due to life might be a while before I can fully read it. Happy to help out a new writer. Thank you! And please keep me informed when your work becomes available, too. Hi there, I'm Robert. Of course on here, you know me as kano. I wasn't sure how big a deal I wanted to make of this here, but I hope you'll be interested enough to read a book by someone you (sort of) know. When a promising young physics student is visited by a future version of himself and gifted a time-travelling armored suit, he is plunged into a life of heroism and responsibility, in the hopes of preventing a tragic future he has only begun to glimpse. Marco Nieve, taking the mantle of Shatterbug, will have to learn to use the unique abilities of the super-suit to uncover the secrets of both the past and future, all the while preparing for a destined face-off against a mysterious dark foe. As he seeks the answers his paradoxical benefactor was unable to give him, Marco’s nemesis works in the shadows, manipulating events for some unknown goal. It all seems to center around what has yet to happen for Marco and the Shatterbug suit. However, Marco soon learns that there’s more to being a good man than fighting monsters and bad guys. The technology that powers his suit could change the world; save it even, in the right hands. Would it be right to deprive humanity of positive scientific advancement? Is it even right to be a hero, to fight in a war that you don’t understand? Marco Nieve’s adventures are something to root for. The lessons he learns along the way—lessons of unique power, perseverance in the face of uncertainty, moral obligation and responsibility, and unconditional unity for a common ideal—will have you turning each page in suspense. Shatterbug is the first in a series of books that I've been crafting in my head for about eight years. It follows Marco Nieve, who becomes the titular time-travelling superhero Shatterbug. Shatterbug isn't like most time travel stories, because the Shatterbug suit isn't like most time travel machines. Rather than taking Marco wherever he wants to go, the suit actually separates him into three copies: one in the present, and one five minutes in the past and in the future. Through the suit, they communicate with each other and learn from each other in taking on monsters and supervillains. Ultimately, he seeks out the answers to three main questions: how does the suit work, why does he have it, and what is the 'darkness' he was warned about? Its a story about finding what it means to be a hero--both in the super sense, and in the societal sense--as Marco tries to provide actual lasting change to the world beyond crime-fighting. 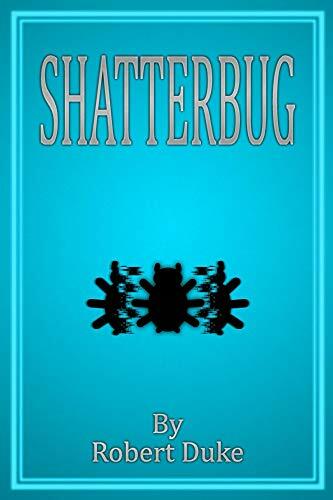 Shatterbug is available on Amazon here (or you can click the cover up top). It's available both in paperback and for Amazon Kindle (or their free Kindle app on any device). It would mean a lot to me if you picked up a copy, and even more if you left an Amazon review. Also, my author Facebook and Twitter pages are available at the respective links. I promise this'll be the last time/only place I mention this, YCM. Thanks for listening, and thanks for.. wow, five years as of this month. I'm hoping for an Ugin transformer, that'd be awesome. I was too, but sadly MaRo has confirmed he doesn't have a card in M19 at all. New Arcades is really, really strong. Waluigi's moveset would be easy, what are you on about? Just give him stuff from the spin off games he was made for. He can make a go-kart like Wario makes a motorcycle. His basic attacks and be tennis rackets or golf clubs. Special moves can be things from favorite Mario Party minigames; releasing a chain chomp, throwing bob-ombs, etc. Final Smash, maybe he spins a triple dice block that always lands on all 10s and gets super speed and strength, maybe even flight like Wario's Final Smash. Or he takes all opponents right next to him to a Mario Party board and throws huge dice blocks at them in a cutscene like Captain Falcon's. Lots of options that make total sense. Give him high jumping and good ledge recovery cause he's so long and your set. I suspect Core 19 will have an Eldrazi subtheme as a flashback to potentially clue us in more into Bolas and Ugin's relationship and why Bolas wanted them freed. Infernal Judgement might therefore just be a card for the limited environment if nothing else. Effect: Activate this card by targeting 1 face-up "Duston" monster you control. This turn, the first card effect your opponent activates becomes "Destroy 1 target 'Duston' monster your opponent controls." If your selected target is destroyed by this effect, Special Summon this card as a Normal Monster (Fiend-Type/EARTH/Level 1/ ATK 0/ DEF 1000) to your opponent's field. (This card is NOT treated as a Trap card.) If Summoned this way, it can not be Tributed or be used as Material for Fusion, Synchro, or Xyz Summons. The goal with that is to serve the purpose of more consistency while also fitting the theme of Diamond Duston (in name and effect). Also it can help slow down combos which is always a plus in a stall deck. Activate this card by targeting 1 face-up "Duston" monster you control when your opponent activates a card or effect: That effect becomes "Target 1 "Duston" monster your opponent controls: Destroy it." If your selected target is destroyed by this effect, Special Summon this card as a Normal Monster (Fiend-Type/EARTH/Level 1/ ATK 0/ DEF 1000) to your opponent's field. (This card is NOT treated as a Trap card.) If Summoned this way, it can not be Tributed or be used as Material for Fusion, Synchro, or Xyz Summons. I do like the idea of it being a trap monster like Diamond Duston. I meant global population. We are reaching it, we do need to start slowing down to make sure it levels out. It's simple calculus 8th grade biology. Declining birth rates isn't a bad thing. If that is your only or major issue with legal abortions (which I recognize it is not in your case, Winter) then it's an uninformed reasoning. Birth rates are supposed to decline, its natural, its an indication that the population is doing well and safely reaching the maximum capacity for its environment. It's got to slow down so that it can go back and forth relatively stably around the maximum population number. I don't think there's any reason to discuss with you on any of your other points, Winter, because you still can't create productive discussion, you still use traps and loaded rhetoric, you still cherry-pick what you want to acknowledge, and you still get hyper-defensive and needlessly stand-offish, trying to change people's minds rather than show them your own. This isn't a reasonable debate, even though it really could be if you honestly wanted it to be. I'm glad you like them. The field spell was initially intended to be what you described but I changed it to what it is now and I haven't decided exactly which way I'm going to implement it now. Do you think it would be best to add to the field spell something along the lines of "If a 'Duston' you control would be destroyed, it is counted as though it were destroyed by your opponent" (with better wording hopefully)? I think the best way is changing an opponent's effect to destroying a Duston, similarly to how Dark World Brainwashing changing an effect to make you discard so as to get the better effects of your Dark World monsters. It requires the simplest wording, anyway. While I don't think Dustons need more monsters, even beneficial ones, I do like the way you've gone about them, as well as the Spell/Trap support for it. It adds a new unique way to play with them. However, you're missing cards that solve the key problem Dustons have: opponent reliance. What the archetype really needs are ways to set off House Duston's effect without needing the opponent to attack it blindly or only kill it when they have a full board. A Continuous/Field Spell or Trap card that lets you replace an opponent's effect with "Destroy 1 target Duston" or something of that nature, and ways to keep your opponent's boardstate low until then, will go a long way to making these new Dustons usable. As they are, they just add more cards that are dead if your opponent can read and/or spams the board a bunch turn 1. But once again, I do like the idea of intentionally destroying yours and your opponent's Dustons, rather than using them only to take up space. It's not the way the deck plays right now, but it is a fun interpretation and these cards, especially the Spells and Traps, really make it work. Just need to resolve the main Duston Dilemma. Wonder if there'll also be a Golden City of Stromberg? Id assume theyd make a big deal out of it like they're doing with Mischief of the Time Goddess, but still... That would be an interesting redesign. My issue with brawl isn't the limited card pool but the fact that it rotates. I understand why they did it, but I just don't like the idea of having to rotate or completely scrap my casual decks. Having just won a game with 3 Gishath, Sun's Avatars, I can confirm that Helm of the Host is broken in half. Can I say the Thugs-4-Less Leader on planet Snivelak in Ratchet and Clank: Going Commando? Technically, as I recall, the boss battle itself wasn't strictly awful (though it was long and tedious, making failure a not-uncommon occurrence), but if you failed it, you respawn back at the beginning of an agonizingly long gauntlet, at a point in the game where the enemies have just scaled up, making your weapons and armor just underdeveloped enough to make the aforementioned gauntlet an infuriating multi-attempt ordeal. These two allow for an unprecedentedly long and powerful loop/FTK. The point is to empty your deck, then repeatedly shuffle in the same 4-5 cards to force your opponent to draw (and discard) their whole deck. Even knowing what you're doing, it takes 30-45 minutes, effectively winning the match in a single game. With both of them limited it's infinitely less consistent. There's no good reason to let them be any higher. Minimum purchase age for guns would be raised to 21. There will be a three day waiting period for firearm purchases, with some exceptions. Bump stocks will be banned. People who have been committed to a mental institution or who have been deemed "mentally defective" will be barred from owning a firearm until otherwise authorized by a court. Law enforcement officers will be able to request a court to temporarily prohibit someone from possessing or buying firearms or ammunition if there's evidence the person poses a threat to themselves or others. Additional funding for armed school resource officers and mental health programs will be provided. The Coach Aaron Feis Guardian Program, which would allow some teachers to be armed if both the local school district and local sheriff's department agree, will be put into place. You can read more at your leisure. The least I can say is: I respect that he's trying to cover everyone's thoughts and insecurities on the matter. It's a good show of compromise. Instead of "No, that isn't the problem, this is!" It's more of "Let's put some options in place so any number of these potential problems have solutions available." The stipulations on the armed school staff is nice, rather than shoving a gun in every teacher's hands. The mentally defective clause doesn't appeal to me very much, but I recognize and respect that it may only be in there to provide some negotiation room or, again, to simply show compromise. Minimum purchase age may not be relevant to gun violence, but raising it ever so slightly won't make it any worse, even if it doesn't make it better, so again, if only as a show of compromise, I think it's a reasonable inclusion. I like the requests to prohibit gun ownership, it's a nice inclusion so not necessarily everyone needs to be limited by the mistakes of the few. All in all, I don't think all of it necessary or impactful, but the fact that it's all here anyway is, for lack of a better word, inspiring. #7086533 [MTG] Wizards needs to stop putting holes in their own boat, AKA Dominaria leak. Are we picking characters we'd like to see in the game? Cause, okay, hear me out. Not a Nintendo property, but now on a Nintendo platform. Could be around Ganandorf in terms of build, maybe some slower Link-like smash attacks, with shouting Special Moves not unlike Robin's magic. I'm not making any statements as to how likely or how unlikely that will be, but consider that the moment an A.I reaches the same level as a human brain, will also be the moment it surpasses that. Once it reaches that point, it takes the smallest improvement for it to go above human-level and from there on it'll improve at a marginally faster rate compared to a human standard.